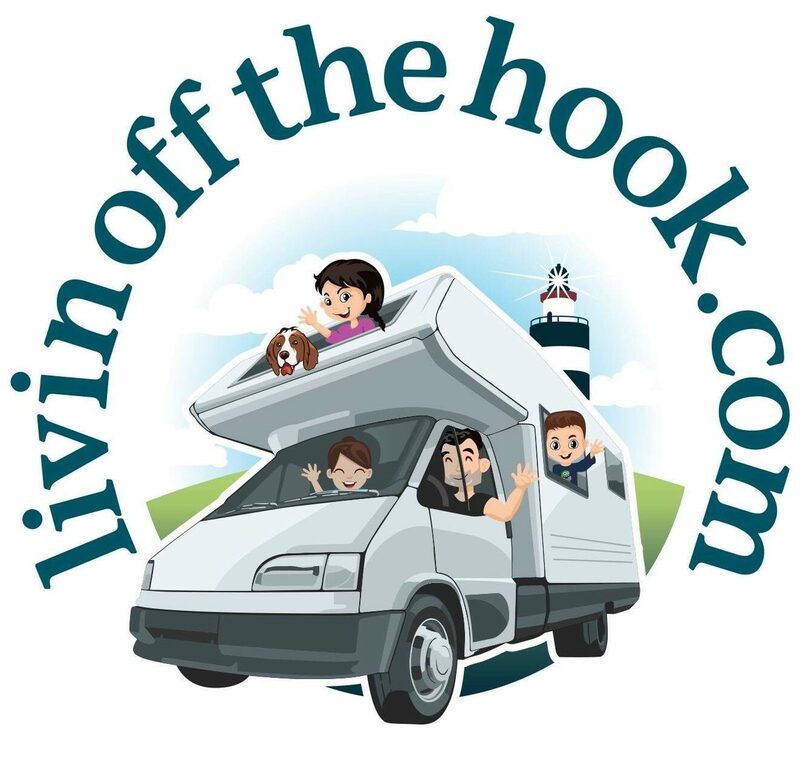 When we decided to take on this van living travelling adventure at the start of this year, we joined all the Motorhome groups on Facebook and watched the YouTube vlogs of families travelling full time in their vans. We researched the hell out of it taking notes as we went, we had to figure out what kind of camper-van to get, we wondered about the legalities, how we would cope financially, living in such a small space for a long period but we had our minds made up, we were doing this no matter what. We bought the first camper-van we saw from Dave and Annette, a lovely family from our home county of Wexford in Ireland. It was just a lucky coincidence, the van was exactly what we were looking for and well within our budget. We decided to sleep on it as who in their right mind buys the first van they see but within a few days it was ours and we moved into our new 18 year old 6 berth campervan in June. We travelled a bit around Ireland while we were figuring things out, tidying up loose ends with our house and Liams job and then we took the ferry from Ireland to Roscoff, France at the end of August. Those first few weeks in Brittany were magical and still our favourite part of this trip so far. We found amazing free beach spots to park up beside vanlifers from all over Europe. It was a great introduction to the community of camper-vanners. They were the first people we met, some living full time in their vans, others for half the year, people from all different backgrounds, all with their own unique stories and journeys to tell. We enjoyed so much meeting all these new people and always enjoy rolling into a new place and getting to know our new neighbours, often over a bottle of wine. That’s the thing, we have new neighbours every week, sometimes every day. On the odd occasion we’ve had some cranky neighbours but mostly we’ve had great experiences and have made some lasting friendships. There are all sorts of full time and part time van dwellers. There’s people who travel in groups, solo travellers, seasonal travellers, full time travelers, off grid travelers, budget travelers, veteran travelers, family travelers, luxury travelers and travelers in search of a new permanent home. We’ve enjoyed hearing all these people’s stories and life goals and we’ve learned a lot from them. Every one of them exciting, interesting, open and unique and we are always grateful for new traveling tips and advice. There is many families doing this but I can count the amount of families we’ve met with small kids on two hands. When we do bump into a family, we make the very most of it and often extend our stay so the kids can have a great time playing, swapping books and toys while us parents get to chill and talk about life over a glass of wine. The kids learn so much from the other children they meet including languages, building new toys and weapons out of branches and up cycling recycling and they have remembered the names of every single child they’ve met since their first encounter with a little boy called Gabon in Brittany at the start of our journey. We’ve kept in touch with these families sharing stories and good locations and have bumped into each other more than once since. You get people traveling in big brand new campervans some with a little trailer in tow with a smart car or three wheeled moped on it. Some often find a spot and stay there for weeks, months, even years at a time using their little cars and mopeds to get around. Some camper vanners are up bright and early every morning with their squeegees wiping the condensation off their vans and polishing it up as part of their morning chores. Some just live in small vans like WV Transporters or little Peugeot Partners, many of them old and rusty, patched up or covered in graffitti. These are the inspirational true vanlifers and proof that you can do this vanlife even on the smallest of budgets. We’ve seen some vans with interiors that are self built with homemade seats made out of wooden pallets and a mattress thrown in with a little free standing hob for cooking outside. Some of them don’t have toilets in their vans but you can get away with that on the continent as the beaches, towns and villages are so well facilitated but if there’s a beach with no toilets you’ll find plenty of bog roll in the ditches. Not to be stereotyping but these vanlifers do seem to keep to themselves mostly but we got chatting to a few small van dwellers (small vans, not dwellers) in Sagres in Portugal and realised they have their own stereotypes of us bigger van people, they joked that us campervan dwellers never leave the campervan as we have too many luxuries. It’s true some campervans are ridiculously luxurious. You see some of the big new ones, as big as a proper bus or arctic lorry, some even have extra rooms that hydraulically open out the sides like some sort of bus to house Transformer. They pull up at a site and you see the massive satellite dish pop up, automatically circling to find their home TV channels. It is true some people rarely leave their campervan but if that’s what they want who are we to judge. There has been days when we haven’t left the campervan too. I guess there’s pros and cons to owning big or small camper-vans and the size totally depends on your travelling and living goals. For us, even though our camper-van isn’t huge, at 6metres long, it isn’t comfortable driving through cities, mountains or even some rural areas and we are considering down sizing next year. We, the Irish campers, we’re used to being the only Irish camper-van around. We’re always on the lookout for Irish reg plates everywhere we park. We didn’t see another Irish camper until we reached Santander in early November after ten weeks on the road. It was there where we met Páidí who hits the road every year to get away from the Irish winter. Although we did see one Irish registered car on a motorway in Spain who gave us a little beep, Páidí and more recently Thomas and Brigid who we met in Portugal are the only Irish people we met so far. Thomas and Brigid who have a property in Portugal had loads of advice for us and we got some great ideas and inspiration from them. When we find a place to park up, it really helps if there are other camper-vans there and the odd time we pull into a paid campsite as a last resort where we get to catch up on showers, wifi and laundry. While in the town of Sagres in Portugals Algarve region, we met a group of van friends Gary, Cathy and Rob from the UK who recommended a site to us a little further west and just north of Faro called Mikkies Place. It was a little off grid campsite and it took us a while to figure out how to get in, we typed in the GPS co-ordinates which took us a couple of kilometers down a narrow potholed lane way. It didn’t seem right and we almost turned back when the oasis of Mikkies appeared. There must have been sixty or seventy camper-vans all parked up on large tiered quirky pitches separated by fruit trees and the odd bit of arty pottery made by the owner Mikkie. This beautiful and colorful campground was a haven of all the different weird and wonderful campers we’ve come across throughout our travels. We picked our spot and pulled up beside a couple who we recognized from camping at the elephant enclosure of Cabarceno Park in northern Spain, a lovely retired couple from the UK, Allan and Diane. I remembered chatting to Allan a few months previous and it was so nice bumping into them again. After we got the campervan sorted it was time for a walk to explore the grounds, outdoor swimming pool and we went into the reception in the main shed built out of recycled materials. It was such a cool, beautiful and inspiring place. The shed had a little gathering place, a bar, a quirky restaurant all with handcrafted up cycled furniture and a gallery full of Mikkies birds and art creations. Mikkie, the owner is a ceramic artist who has a love of birds and you would see her wandering around the shed with a parrot or a cockatoo on her shoulder. She had four or five cages of exotic birds inside and a large enclosure of little birds, doves and various types of hens just outside. We had a drink at the bar and got chatting to some of the other campervan residents on site. We quickly realized Mikkies place was not a one night stop kind of place. A common story amongst many of the residents here. One guy told us he arrived at Mikkies two and a half years ago for a two night stay and he was still there with his wife. In fact there were lots of couples staying there full time on site like one big friendly family and it wasn’t long until we realized why being such a simple, cool, social, inspiring and lovely place to be. We booked in for a typical two nights and got sucked into the time warp that is Mikkies Place and continued extending our stay by one or two days at a time and the next thing we knew, three weeks had passed. Van life time does go by slowly and so it feels like we stayed much longer. We had some great experiences, met some lovely people and we got loads of work and yoga done while spending some real chill time together while not having to research and figure out where to drive and stay next. We met some more van travelling bloggers including the Yellow Van family and (the hilariously confusing couples) Tim and Jan and Tim and Jane from bonvanage blog who did their own hilarious blog post about their experience at Mikkies. Tim (the Tim & Jane Tim not the Tim & Jan Tim) was an amazing musician and played saxaphone, flute and other whistley instruments which he played on stage in the bar over a couple of evenings, next thing we knew Liam was right up there playing banjo alongside him. We had great chats with them all and will fondly follow their adventures. We may even meet them again soon, who knows. For our last week we hung out with a German family who had children the same age as ours. Liam and the Dad Alex had a little table tennis tournament on the go which got a little competitive to say the least. They fixed up an old table tennis table and made a net by folding sheets of toilet paper over the rope which amazingly held together for the whole week. The children had no english and it was a joy to watch them all learning each others languages and communicating through play. German has so far been the easiest language for our children Ellen and Alex to learn. Liam swam in the cold pool every day, he even inspired a few other campers to get in. I did morning yoga classes with some of our van neighbours and finally got a great start on my Hook Crochet YouTube channel where I have uploaded lots of free tutorials to teach people how to crochet. It’s amazing how comfortable you can get in a place and we got very comfortable at Mikkies. We’re also well used to stepping outside our comfort zones and it was time to say goodbye to our new friends and hit the road again. We’re back to one night stop overs for the time being until and if we find the next long stop over. One day we might fall in love with a place so much we might ourselves be the ones to stay for a few years. Anything is possible. If you know anybody looking to learn a new craft send them to my YouTube channel ‘Hook Crochet’ where I am uploading new crochet tutorials and free patterns every week. Sorry we missed you. These fellow Irish van dwellers will be arriving at Mikkis on 21 December to spend Christmas and New Year there. We have been before and it was our blog post that inspired Tim & Jan to visit there. The bar has all been closed in since our last visit so who knows how long we might stay this time!